Wolf Commercial Real Estate, the foremost South Jersey commercial real estate brokerage firm with expertise in Southern New Jersey commercial real estate listings and services, is now offering South Jersey retail space for lease in The Crossings at Twin Oaks in Sicklerville. 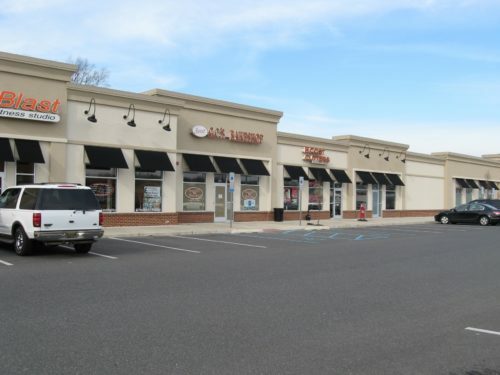 This Southern New Jersey retail space for lease at 649-675 Berlin-Cross Keys Road Sicklerville NJ is located in a retail strip center on the heavily traveled corner at Berlin-Cross Keys Road and Johnson Road, providing maximum daily exposure to thousands of potential customers. This Sicklerville retail space for lease has one unit now available for lease. This one unit in this South Jersey retail building for lease provides +/- 3,600 square feet of retail space in Sicklerville. In addition, this retail space in South Jersey is an end-cap. There is both monument and above-store signage available to tenants at this South Jersey retail building for lease. The asking lease rate for this retail space in Sicklerville is $15.00-$17.00/SF NNN. 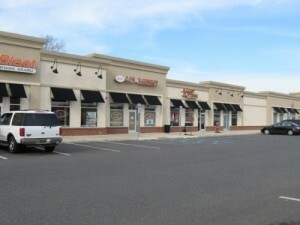 This Southern New Jersey retail space for lease in The Crossings at Twin Oaks at 649-675 Berlin-Cross Keys Road Sicklerville NJ is being offered for immediate occupancy through Wolf Commercial Real Estate, a South Jersey commercial real estate broker that specializes in Southern New Jersey commercial real estate listings and services. Other tenants in this Sicklerville retail space for lease include Rite Aid and Roger Wilco. This South Jersey retail space for lease is within close proximity to Kennedy and Virtua hospitals. This retail space in South Jersey is located within a high-income residential area. 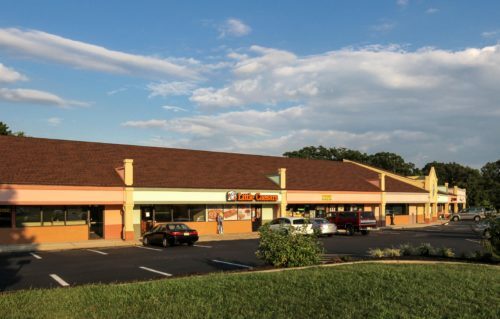 More than 142,000 residents and potential customers live within a five-mile radius of this South Jersey retail building for lease at 649-675 Berlin-Cross Keys Road Sicklerville NJ. The average household income in the same area near this Southern New Jersey retail space for lease is $88,703. This retail space in South Jersey is available through Wolf Commercial Real Estate, a South Jersey commercial real estate brokerage firm with expertise in Southern New Jersey commercial real estate listings and services. This Sicklerville retail space for lease is surrounded by medical/professional offices and, on average, nearly 29,000 vehicles per day drive through the intersection of Berlin-Cross Keys Road and Wilby Road where this Southern New Jersey retail space for lease is located. For more information about this South Jersey retail space for lease in The Crossings at Twin Oaks at 649-675 Berlin-Cross Keys Road Sicklerville NJ, about other retail space in Sicklerville or about any other South Jersey commercial properties for sale or lease, please contact Jason Wolf (856-857-6301; jason.wolf@wolfcre.com) at Wolf Commercial Real Estate, a South Jersey commercial real estate broker. Wolf Commercial Real Estate, a prominent Southern New Jersey commercial real estate broker that specializes in South Jersey commercial real estate listings and services, is now offering leasing opportunities with aggressive rental rates for South Jersey retail space for lease in the Clementon Crossings Shopping Center at 328 White Horse Pike Clementon NJ. There are multiple units available in this highly visible retail space in Clementon, ranging in size from plus or minus 1,200 square feet to 4,000 square feet. This Southern New Jersey retail space for lease includes first-floor storefront units, as well as one second-floor office unit. This Clementon retail space for lease is ideal for a multitude of uses, include retail sales and services, restaurants, and office space. This South Jersey retail space for lease in the Clementon Crossings Shopping Center has a liquor license available for an interested tenant. Aggressive rental rates have been set for this retail space in South Jersey. The asking lease price for this retail space in Clementon is $12 per square foot NNN. 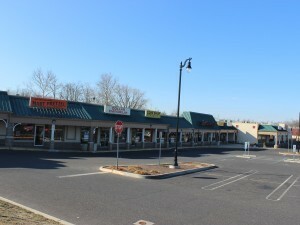 This Southern New Jersey retail space for lease at 328 White Horse Pike Clementon NJ is being offered for immediate occupancy through Wolf Commercial Real Estate, a Southern New Jersey commercial real estate brokerage firm that specializes in South Jersey commercial real estate listings and services. This retail space in South Jersey sits in the Clementon Crossings Shopping Center, a redeveloped retail shopping center that has convenient access to public transportation. This Clementon retail space for lease at 328 White Horse Pike Clementon NJ also provides immediate access to the White Horse Pike (Route 30). This retail space in Clementon offers tenants both pylon and above-store signage. Parking is plentiful in the large parking lot at this Southern New Jersey retail space for lease through Wolf Commercial Real Estate, a Southern New Jersey commercial real estate broker with expertise in South Jersey commercial real estate listings and services. The population surrounding this Clementon retail space for lease in the Clementon Crossings Shopping Center at 328 White Horse Pike Clementon NJ is significant with almost 175,000 people living within a five-mile radius. The average household income within the same area of this retail space in South Jersey is $86,470. For more information about this South Jersey retail space for lease in the Clementon Crossings Shopping Center at 328 White Horse Pike Clementon NJ or about other South Jersey commercial properties for sale or lease, please contact Leor Hemo (856-857-6302; leor.hemo@wolfcre.com) or Christopher Henderson (856-857-6337; chris.henderson@wolfcre.com) at Wolf Commercial Real Estate, the foremost Southern New Jersey commercial real estate brokerage firm. Wolf Commercial Real Estate, a premier Southern New Jersey commercial real estate brokerage firm that specializes in South Jersey commercial real estate listings and services, now has available South Jersey retail space for lease at Plaza 42 Turnersville NJ. This highly visible Southern New Jersey retail space for lease at 5851 Route 42 Turnersville NJ features five inline spaces available for lease ranging in size from 1,120 square feet to 8,025 square feet. The asking lease price for this retail space in South Jersey at Plaza 42 Turnersville NJ is $15 per square foot NNN. This retail space in Southern New Jersey is available for immediate occupancy through Wolf Commercial Real Estate, a Southern New Jersey commercial real estate broker with expertise in South Jersey commercial real estate listings and services. This South Jersey retail space for lease at 5851 Route 42 Turnersville NJ is located at Black Horse Pike (Route 42) and Shoppers Lane. This retail space in South Jersey is in close proximity to the Atlantic City Expressway. 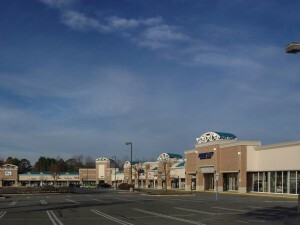 Plaza 42, where this Southern New Jersey retail space for lease is located, is a 207,719 square foot neighborhood center anchored by Kohl’s, Petsmart and Ashley Furniture. Other retailer located near this retail space in Southern New Jersey include Walmart, Target, Lowe’s, LA Fitness and Burlington Coat Factory. Parking is plentiful at this Southern New Jersey retail space for lease at 5851 Route 42 Turnersville NJ. The Plaza 42 shopping center features both above-store and pylon signage. This South Jersey retail space for lease is currently available through Wolf Commercial Real Estate, a Southern New Jersey commercial real estate brokerage firm with expertise in South Jersey commercial real estate listings and services. This retail space in South Jersey is surrounded by a densely populated area. More than 72,500 people reside within three miles of this Southern New Jersey retail space for lease. The average household income within the same area of this retail space in Southern New Jersey is $92,426. For more information about this South Jersey retail space for lease at Plaza 42 Turnersville NJ or about other South Jersey commercial properties for sale or lease, please contact Jason Wolf (856-857-6301; jason.wolf@wolfcre.com) at Wolf Commercial Real Estate, the foremost Southern New Jersey commercial real estate broker. Wolf Commercial Real Estate, a leading South Jersey commercial real estate broker that specializes in Southern New Jersey commercial real estate listings and services, is now offering highly desirable South Jersey retail space for lease in the Circle Plaza Shopping Center at 6716 Black Horse Pike Egg Harbor Township NJ. This Southern New Jersey retail space for lease features approximately 2,652 square feet of prime retail space in the busy Circle Plaza Shopping Center. The Circle Plaza Shopping Center, where this Egg Harbor Township retail space for lease is located, is anchored by TJ Maxx, Payless Shoe Source and Rent-A-Center. The asking lease price for this retail space in South Jersey at 6716 Black Horse Pike Egg Harbor Township NJ is $15 per square foot NNN. This retail space in Egg Harbor Township is available for immediate occupancy through Wolf Commercial Real Estate, a South Jersey commercial real estate brokerage firm that specializes in Southern New Jersey commercial real estate listings and services. The Southern New Jersey retail space for lease in the Circle Plaza Shopping Center is centrally located off Black Horse Pike and Washington Avenue and includes entrances from both roads. This Egg Harbor Township retail space for lease sits conveniently just off Exit 37 of the Garden State Parkway. There is more than 1,000,000 square feet of retail space in Egg Harbor Township situated within a 1.5 mile radius of this South Jersey retail space for lease in the Circle Plaza Shopping Center at 6716 Black Horse Pike Egg Harbor Township NJ. This retail space in South Jersey is being offered by Wolf Commercial Real Estate, a South Jersey commercial real estate broker that specializes in Southern New Jersey commercial real estate listings and services. Both pylon and above-store signage are available to tenants in this Southern New Jersey retail space for lease. Parking in this Egg Harbor Township retail space for lease is abundant. This retail space in South Jersey in the Circle Plaza Shopping Center at 6716 Black Horse Pike Egg Harbor Township NJ services the dense population in Atlantic County. Nearly 96,000 residents live within five miles of this retail space in Egg Harbor Township. The average household income within the same radius of this Egg Harbor Township retail space for lease is $78,655. For more information about this South Jersey retail space for lease in the Circle Plaza Shopping Center at 6716 Black Horse Pike Egg Harbor Township NJ or about other South Jersey commercial properties for sale or lease, please contact Leor Hemo (856-857-6302; leor.hemo@wolfcre.com) or Christina Del Duca (856-857-6304; christina.delduca@wolfcre.com) at Wolf Commercial Real Estate, a South Jersey commercial real estate brokerage firm. Wolf Commercial Real Estate, a leading South Jersey commercial real estate brokerage firm with expertise in Southern New Jersey commercial real estate listings and services, is now offering South Jersey retail space for lease in the Clementon Crossing Shopping Center at 328 White Horse Pike Clementon NJ. This well-located Clementon retail space for lease offers six units ranging in size from approximately 1,200 square feet to 4,000 square feet. This retail space in Clementon has multiple potential uses, including retail stores, restaurants and office space. There is a liquor license available at this Southern New Jersey retail space for lease. The asking lease price for this retail space in South Jersey is $12 per square foot NNN. 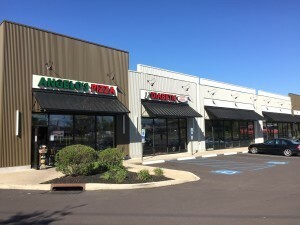 This South Jersey retail space for lease in the Clementon Crossing Shopping Center at 328 White Horse Pike Clementon NJ is available for immediate occupancy through Wolf Commercial Real Estate, a South Jersey commercial real estate broker that specializes in Southern New Jersey commercial real estate listings and services. This Clementon retail space for lease is located in the highly visible Clementon Crossing Shopping Center, a redeveloped shopping center. This retail space in South Jersey at 328 White Horse Pike Clementon NJ has easy access to public transportation. This retail space in Clementon has direct access from the White Horse Pike (Route 30). Both pylon and above-store signage are available at this Southern New Jersey retail space for lease. Abundant parking also is available at this Clementon retail space for lease through Wolf Commercial Real Estate, a South Jersey commercial real estate broker with expertise in Southern New Jersey commercial real estate listings and services. There is a significant residential population surrounding this retail space in South Jersey in the Clementon Crossing Shopping Center at 328 White Horse Pike Clementon NJ. Nearly 175,000 residents live within five miles of this Clementon retail space for lease. The average household income within the same five-mile radius of this retail space in Clementon is $86,470. For more information about this Southern New Jersey retail space for lease in the Clementon Crossing Shopping Center at 328 White Horse Pike Clementon NJ or about other South Jersey commercial properties for sale or lease, please contact Leor Hemo (856-857-6302; leor.hemo@wolfcre.com) or Christopher Henderson (856-857-6337; chris.henderson@wolfcre.com) at Wolf Commercial Real Estate, the premier South Jersey commercial real estate brokerage firm. Wolf Commercial Real Estate is the foremost South Jersey commercial real estate broker that provides a full range of Southern New Jersey commercial real estate listings and services, marketing commercial offices, medical properties, industrial properties, land properties, retail buildings and other South Jersey commercial properties for buyers, tenants, investors and sellers. Please visit our websites for a full listing of South Jersey commercial properties for lease or sale through our South Jersey commercial real estate brokerage firm. Wolf Commercial Real Estate, a premier Southern New Jersey commercial real estate broker that specializes in South Jersey commercial real estate listings and services, now has available well-located South Jersey retail space for lease in the Fries Mill Shopping Center at 245 Fries Mill Road Turnersville NJ. There is between 1,600 square feet and 7,000 square feet of prime retail space in South Jersey currently available in the Fries Mill Shopping Center at 245 Fries Mill Road Turnersville NJ. This Southern New Jersey retail space for lease is divisible to 2,000 square feet with a drive-thru. The asking lease price for this retail space in Southern New Jersey is $18 per square foot NNN. This South Jersey retail space for lease at 245 Fries Mill Road Turnersville NJ is available for immediate occupancy through Wolf Commercial Real Estate, a Southern New Jersey commercial real estate brokerage firm that specializes in South Jersey commercial real estate listings and services. The Fries Mill Shopping Center, where this Southern New Jersey retail space for lease is situated, is located at a high-profile, hard-corner signalized intersection. 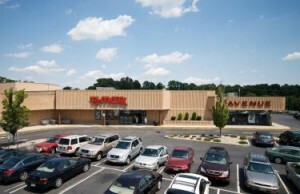 This retail space in South Jersey is accessible from both Hurffville Crosskeys Road and Fries Mill Road. Multiple retail establishments, including Target, WalMart, Shop Rite and Acme, are located in close proximity to this South Jersey retail space for lease. This retail space in Southern New Jersey also is near Kennedy Hospital, Virtua Hospital and Washington Township High School. This Southern New Jersey retail space for lease in the Fries Mill Shopping Center at 245 Fries Mill Road Turnersville NJ sits amid high-income residential housing and several medical and professional offices. This retail space in South Jersey is being offered by Wolf Commercial Real Estate, a Southern New Jersey commercial real estate broker with expertise in South Jersey commercial real estate listings and services. This retail space in Southern New Jersey offers abundant parking and features monument and above-store signage. More than 40,000 vehicles per day pass by this Southern New Jersey retail space for lease at 245 Fries Mill Road Turnersville NJ. More than 152,000 people reside within five miles of this retail space in South Jersey, and the average household income within the same radius is $88,729. For more information about this South Jersey retail space for lease in the Fries Mill Shopping Center at 245 Fries Mill Road Turnersville NJ or about other South Jersey commercial properties for sale or lease, please contact Jason Wolf (856-857-6301; jason.wolf@wolfcre.com) at Wolf Commercial Real Estate, a leading Southern New Jersey commercial real estate brokerage firm. While the national economy was affected by turmoil in the global markets, the South Jersey commercial real estate market continued its progress for another quarter, according to the latest quarterly analysis from Wolf Commercial Real Estate, a premier South Jersey commercial real estate broker that specializes in South Jersey commercial real estate listings and services, including South Jersey retail space and other South Jersey commercial properties. An expected summer slow-down did slow the pace of transactions, but overall growth, expansion, and positive absorption stayed on track said the report from this South Jersey commercial real estate brokerage firm. Healthcare, insurance, financial services, defense contracting, and technology companies led the way. The report from this South Jersey commercial real estate broker details many factors contributing to continued strength in the market, including large and small lease deals, the beginning of new construction activity, several investment acquisitions of office properties, and continued repositioning among the area’s REITs. According to the report issued by Wolf Commercial Real Estate, a South Jersey commercial real estate brokerage firm with expertise in South Jersey commercial real estate listings and services, including South Jersey retail space and other South Jersey commercial properties, this repositioning also covers the latest coup for the GROW NJ program, a recently announced 1.7 million square-foot mixed use development along the waterfront in Camden, NJ. According to Wolf Commercial Real Estate, the third quarter posted approximately 477,983 of new leases and renewals executed in the South Jersey commercial real estate market. This is a nearly 20 percent improvement over the third quarter a year ago. New tenant leases consisted of approximately 280,360 square feet, and renewals and expansions made up approximately 197,623 square feet. New leasing activity represented approximately 58.7% of all deals for the quarter. Overall, gross absorption for Q3 is in the range of approximately 233,610 square feet. In addition to the consummated deals, this section of the report from the South Jersey commercial real estate broker that specializes in South Jersey commercial real estate listings indicated a pipeline of approximately 350,000 square feet of significant pending lease deals expected to close in the near term. The full report is available upon request from Wolf Commercial Real Estate, a South Jersey commercial real estate brokerage firm with expertise in South Jersey commercial real estate listings and services, including South Jersey retail space and other South Jersey commercial properties. 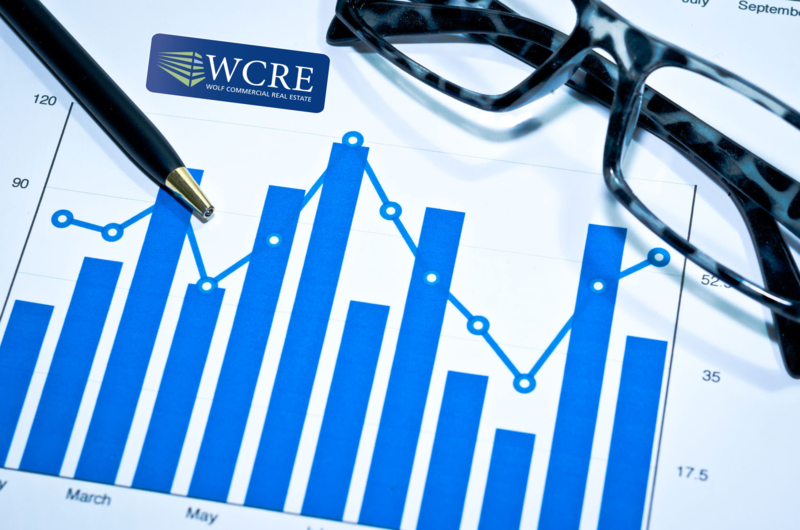 For more information about South Jersey retail space or any South Jersey commercial properties, please contact Jason Wolf (856-857-6301; jason.wolf@wolfcre.com), Leor Hemo (856-857-6302; leor.hemo@wolfcre.com), Christina Del Duca (856-857-6304; christina.delduca@wolfcre.com), Todd Levin (856-857-6319; todd.levin@wolfcre.com), Scott Seligman (856-857-6305; scott.seligman@wolfcre.com) or Christopher Henderson (856-857-6337; chris.henderson@wolfcre.com at Wolf Commercial Real Estate, a South Jersey commercial real estate broker. Wolf Commercial Real Estate is a premier South Jersey commercial real estate broker that provides a full range of South Jersey commercial real estate listings and services that include South Jersey retail space and other South Jersey commercial properties. Wolf Commercial Real Estate markets commercial offices, medical properties, industrial properties, land properties, retail buildings and other South Jersey commercial properties for buyers, tenants, investors and sellers. Please visit our websites for a full listing of South Jersey commercial properties for lease or sale through our South Jersey commercial real estate brokerage firm. In a move to attract tech-savvy millennials and affluent baby boomers, commercial real estate developers are bringing office space and residential living space to retail centers such as South Jersey retail space, completely changing the long-standing design of lifestyle centers and traditional malls in the U.S., according to a report from the CoStar Group. These days, the report said, mall and lifestyle center developers are just as interested in landing solid anchor tenants such as multi-screen or IMAX cinemaplexes and Apple Stores as they are in introducing creative office space and apartments to their multi-million-dollar retail projects. The driving force behind these changes is an effort to attract the millennial generation’s 80 million consumers, the largest and fastest-growing retail segment in the U.S. economy. While millennials still lag behind baby boomers in terms of the greatest retail buying power, they nonetheless wield considerable influence on the industry. Seeking to replace dollars lost to online shopping, national and South Jersey retail space developers are hoping to create new income streams by mixing office and residential space into malls and lifestyle centers to create mixed-use projects that will appeal to the multi-tasking nature of millennials. Millennials — the generation born in the mid 80s and roughly 20 years after — are considered social individuals who desire walkable, mixed-use environments that allow them to accomplish multiple tasks and activities in a single outdoor location. That might mean stopping at the gym, the grocery store, a restaurant, a movie theater and more, all in one place. Projects under construction in several locations now are mixed-use, open-air malls to which office space, residential units and even hotels will be added down the line. While these projects are new construction, some developers are looking at bring the mixed-use concept to existing retail centers. These new mixed use projects operate as both the commercial and the social and civic centers of the community, with outdoor public space that follows the design principles of traditional urban planning, one developer said. Figuring out whether a mixed use center or a more traditional lifestyle center is best for a community comes with understanding the community’s demographic and economic base and knowing what customers want. The myth that millennials are hip, urban dwellers is dispelled by the Urban Land Institute’s finding that only 13 percent of Gen Yers live in or near downtowns. The majority live in neighborhoods in cities or in the suburbs, which stands to reason since the oldest — and most influential millennials — those now in their mid to late 30s — beginning to have children and create households. About 35 percent of millennials own their own homes. While the focus now is on lifestyle centers and malls, these changing demographics also may soon have an impact on the traditional suburban office park. As office park tenants search for new ways to attract employees in their 20s and 30s in an increasingly competitive job market, they are looking to their landlords to make the suburban workplace more appealing by adding residential living space and retail space to create the multi-use environment millennials want. For more information about South Jersey retail space or other South Jersey commercial properties, please call Jason Wolf (856-857-6301; jason.wolf@wolfcre.com) at Wolf Commercial Real Estate, a premier South Jersey commercial real estate brokerage firm that specializes in retail space in South Jersey. Wolf Commercial Real Estate is a South Jersey commercial real estate broker that provides a full range of South Jersey commercial real estate listings and services, marketing commercial offices, medical properties, industrial properties, land properties, retail buildings and other South Jersey commercial properties for buyers, tenants, investors and sellers. Wolf Commercial Real Estate, a South Jersey commercial real estate broker that specializes in South Jersey commercial real estate listings, provides unparalleled expertise in matching companies and individuals seeking retail space in South Jersey with the South Jersey commercial properties that best meet their needs. As experts in South Jersey commercial real estate listings and services, the team at our South Jersey commercial real estate brokerage firm provides ongoing detailed information about South Jersey commercial properties to our clients and prospects to help them achieve their real estate goals. If you are looking for retail space in South Jersey for sale or lease, Wolf Commercial Real Estate is the South Jersey commercial real estate broker you need — a strategic partner who is fully invested in your long-term growth and success.